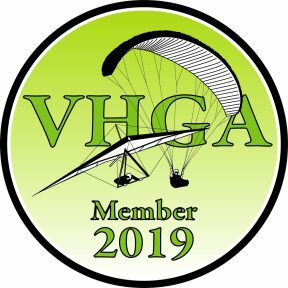 Vermont Hang Gliding Association Membership and Visitor's Pass Application/Waiver. *A photocopy of this form may be filed with the appropriate flying site owners, land owners or managers. $50 Full Season Membership, Jan. to Dec.
$50.00 Full Season Membership Jan. to Dec. --- this is required for Region 8 Pilots. This Waiver is a permanent waiver. It stays on file. Membership fee is good until December, renew in Jan. You must also be a USHPA member to fly VHGA sites. $20.00 A Visiting Pilot is a Non Region 8 Pilot. Fee is good for one day. You must also be a USHPA member to fly VHGA sites. certify that I am an adult, 18 years or older. The information I placed on this form is true and correct. I will comply with all the regulations governing hang gliding and paragliding on designated state lands. I hereby freely and voluntarily waive all claims I now have or that may arise in the future against the State of Vermont, its employees and agents. I will hold and save the State of Vermont, its employees, and its agents free of any liability in the event of personal or bodily injury, death, or property damage occasioned by, or arising out of my involvement in hang gliding or paragliding on the state lands designated for that purpose. I agree that by digitally signing this waiver, I am held and bound to all agreements and terms set fourth within this application. hereby acknowledge that I have applied voluntarily in the sport of hang gliding or paragliding at the site known as West Rutland or Hanley Mountain. I am aware of all hazards and dangers, real or hidden, including all road and ramp hazards, involved in foot launched soaring flight and accept any and all the risk of possible injury or death. As lawful consideration for being permitted to use this site, I agree that I, my heirs, distributes, guardians, assigns and legal representatives will not make any claims against, sue, attach the property of, or prosecute any landowners or other flyers at this site. The principal, but not only, landowners are the Vermont Hang Gliding Association, Mr. and Mrs. Francis Grabowski, Angier Family Trust and Adrianne Tedesco, Mrs. Rosemarie Herbert. The United States Hang Gliding and Paragliding Association are also is included under this waiver. I now hereby release and hold harmless all parties from any actions resulting from any accidents, which may cause injury or death. 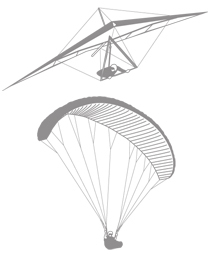 I fly my hang glider or paraglider assuming all inherent risks and dangers. I have carefully read this agreement and fully understand its contents. I am aware that this is a release of liability and a contract to use this site as a member of the Vermont Hang Gliding Association and USHPA. I sign this and fly of my own free will. (H3 / P3) or H2 / P2 with Observer / Site guide. * Payment Terms: Your VHGA Membership, Renewal, or Visitor's Pass will not be official until you have submitted this form and your full payment has been received by the VHGA. Your payment can be made online or sent by mail. See our Membership page for more info. Initialing below confirms you have read and understand this term.